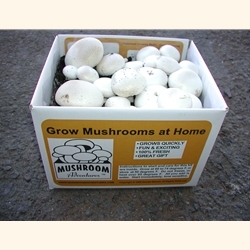 Our Portabella, Crimini, White Button, Shiitake, and Oyster Mushroom Kits let you grow mushrooms at home with all the necessary components you need to grow several crops of mushrooms over 10 to 12 weeks. Just add water and wait for the mushrooms to grow. 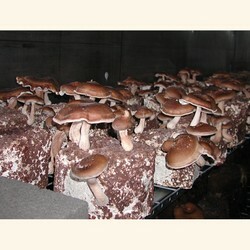 The first crop of mushrooms is generally ready to pick within just 2 to 3 weeks. Kits grow indoors between 55 to 75 degrees. They make a great gift. 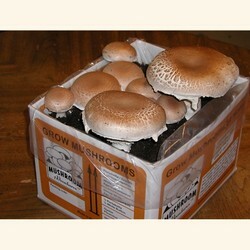 To see all mushroom kits go to "Shop Mushroom Kits" on the top blue menu bar, or on a cell phone the "3 Bar Menu". Mushroom Adventures began in 1996 in a San Francisco basement garage. 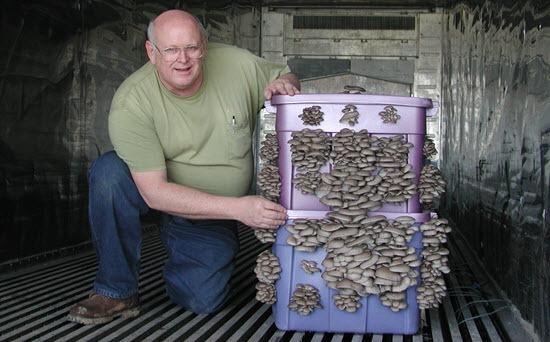 The founder, Donald Simoni, had been growing mushrooms for over five years, when he needed more equipment: a pressure cooker that cost over $400.00. This seemed like a lot of money at the time to spend on a hobby, so Don made a few mushroom kits to sell at the local mushroom fair.